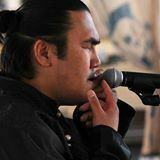 Two master throat singers highlight the similarities between their culturally distinct singing traditions. 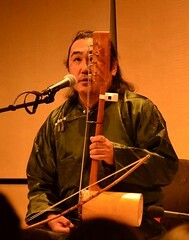 Radik Tyulyush, who hails from Tuva on the border of Mongolia, opens the program. Inuit throat singer and Polaris prizewinner Tanya Tagaq concludes with live accompaniment for a screening of the historically important — but highly controversial — silent film Nanook of the North (1922), directed by Robert Flaherty. Be prepared for spellbinding performances and the rare opportunity to experience two indigenous contemporary throat singers in a single venue! This entry was posted on 03/03/2015 by Radik Tyulyush. 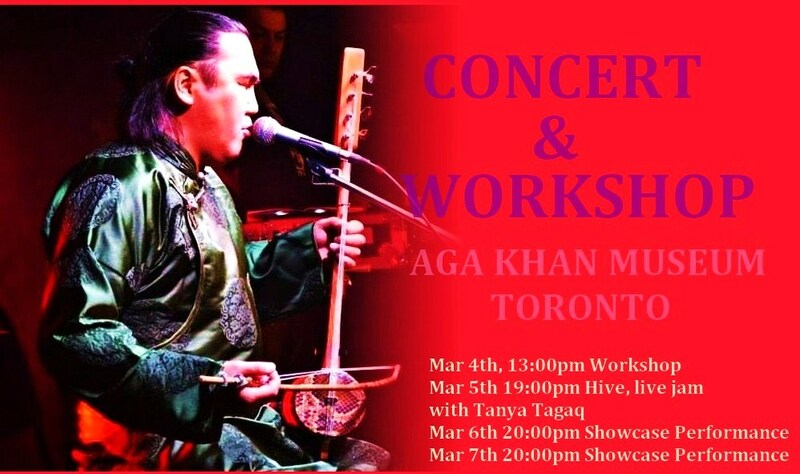 It was filed under ART, CONCERT, CULTURE, FOLK MUSIC, KONSER, MUSIC, THROAT SİNGİNG, TRADİTİONAL, tuvan music and was tagged with art, folk music aga khan museum, folk music concert, folk music concert toronto, radik tyulyush aga khan museum, radik tyulyush concert toronto, radik tyulyush concert workshop 2015, spiritual music, traditional music, tuvan music toronto canada, Tuvan throat singing in canada toronto, World music.